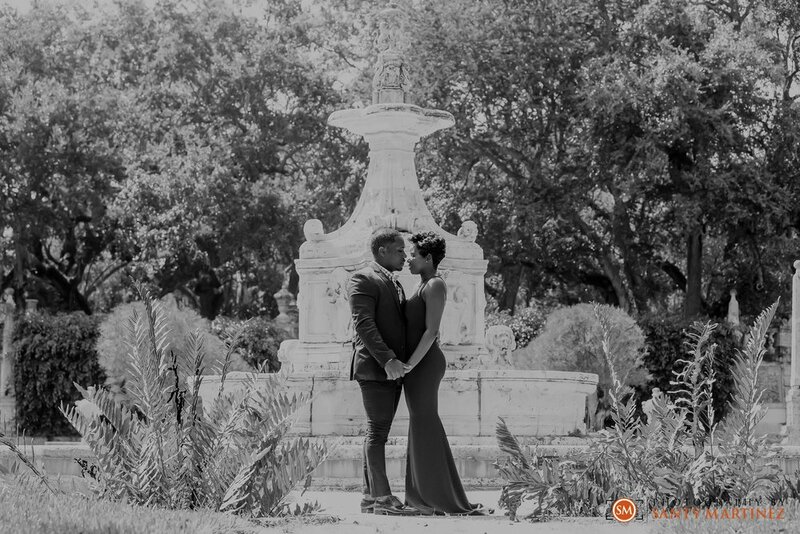 It was a flawless day for this elegant engagement session at Vizcaya Museum and Gardens. 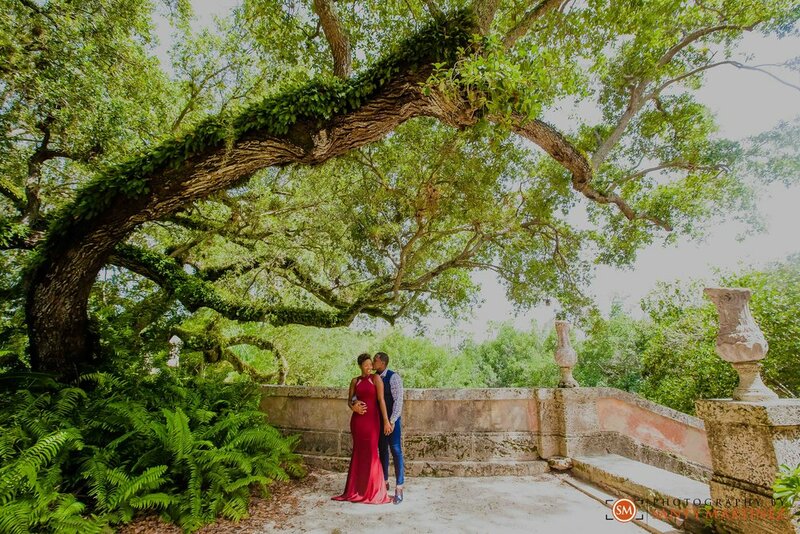 There are so many hidden spaces throughout the gardens that make this venue so unique! Despite the countless shoots we have done at this desirable location, we never tire of shooting here. There is always a new spot to discover and, of course, new faces in front of the camera that bring new life to each session. The two new faces we had the pleasure of capturing in this session belong to Kadeisha and Oshaine. This lovely couple chose to wear both a classic and a more casual outfit to reflect their style. And boy did these two have style! We just love the vibrant colors in their wardrobe choices. More notably, the way they looked at each other produced the most uncontainable smiles that always make for awesome pictures! 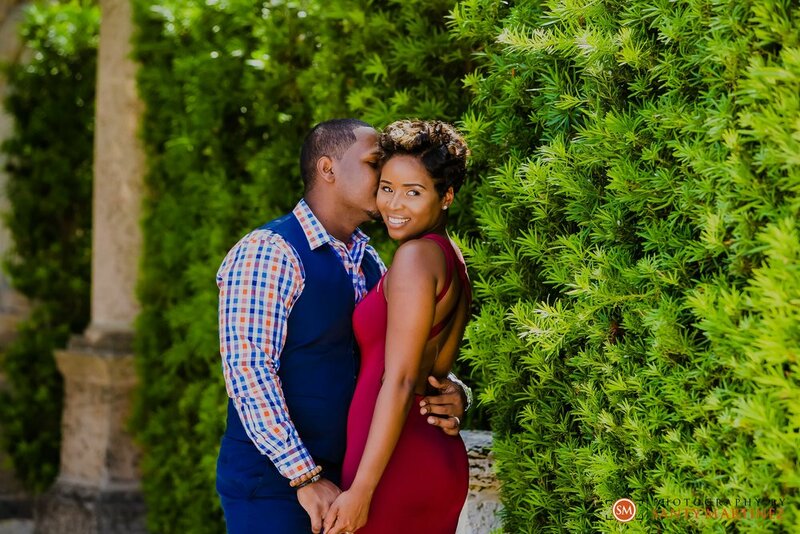 Please enjoy this collection of just a handful of our favorite images from Kadeisha and Oshaine’s engagement session!